Joe Mixon is coming off a 377-all-purpose-yard performance in last Saturday’s 66-59 victory over Texas Tech, one wonders what he’ll do next? Mixon makes his second scheduled appearance Saturday as OU’s offensive centerpiece. The sophomore did rush for 88 yards on 19 carries against Kansas State. Perine missed over half that game. Offensive coordinator Lincoln Riley pointed out that two of Mixon’s best games came after his worst of the season. Mixon fumbled twice and muffed a punt in the 46-40 victory over Texas on Oct. 8. 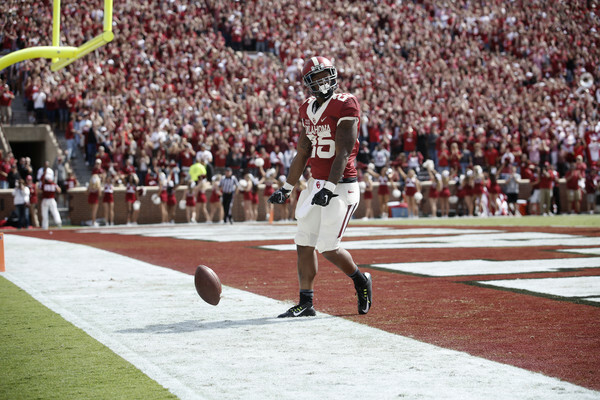 The Sooners overcame it because Perine was phenomenal, putting up a season-high 214 yards and two touchdowns.